Fill out this form to receive more information. Israel’s second largest city — modern and vibrant — Tel Aviv is a perfect location for a writing retreat. We’ll spend five days immersing ourselves in the beautiful Mediterranean city. Through transformative writing activities, we’ll strengthen our creativity, express what we really want to say, and connect with a community of international women writers. Throughout the retreat, we’ll experience the culture–sampling the foods in the outdoor market, touring through Jaffa’s ancient plazas, admiring the handmade crafts of Tel Aviv’s artists, and relaxing on the beach. Our retreat in Israel sells out fast, so be sure to reserve your spot now. We close regisration as soon as rooms sell out. We can’t wait to meet you! To reserve your spot, fill out the registration form and submit a $250 deposit here. Tours throughout Tel Aviv, including: the bustling Carmel Market; walking tour of Jaffa, Israel’s ancient port city; a visit to Nachalat Binyamin artists market and more. We’ll get together at our hotel at 5pm for a welcome and orientation writing session. We’ll go over the schedule in detail, meet our fellow participants, and get our creative juices flowing. We’ll head to a nearby restaurant in Jaffa’s trendy Shuk HaPishpishim and indulge in Israel’s delicious cuisine. With shops, bars and the Old City only a few steps away, Jaffa will ensure that your night is full of adventure. We’ll start our morning right with a hearty Israeli breakfast, complete with salads, cheeses, eggs, and juice. Then, we’ll begin writing! Each morning, we’ll participate in writing workshops that are designed to open our imagination, sharpen our authentic voices, and begin to express what our hearts want to say on paper. We’ll head to Nachalat Binyamin, Tel Aviv’s artist market. First, we’ll lunch at one of the charming side street cafes. After lunch, we’ll make our way through the market, and explore the fine crafts of Tel Aviv’s local talent, and purchasing the jewelry, handiwork and wall art that catches our eyes. The Carmel Market is a few steps away, and we’ll stop there to bargain for some fresh fruit and gooey baklava. After a busy afternoon, we’ll decompress and then get ready for a night out on the town. Once again, we’ll begin our morning with a delectable breakfast followed by a three-part writing workshop. We’ll break for lunch at Dr. Shakshuka, nourishing our stomachs with Israel’s favorite egg and red sauce dish (it’s delicious, we promise! ), and then taking a tour through Jaffa’s fascinating streets that are full of Jewish and Arab culture, British history, and more. We’ll end our night in Neve Tzedek, one of Tel Aviv’s most fashionable and artsy neighborhoods. We’ll wind through the stone-laden paths and check out the live music at the “Tachanah,” Tel Aviv’s newly renovated old train station. We’ll go deeper in our writing today as we explore our creative blocks. There’s only way to do it — worth with them, not against them. After our workshops we’ll take part in a food tour — tasting the best of what Israel has to offer, and learn about Israeli history and culture through food. After that, we’ll enjoy free time and then enjoy dinner and head out for another night in Tel Aviv! Get ready for hugs, ladies! We’ll savor our last Israeli breakfast and conclude our retreat with a final workshop. Get ready for laughter, tears, hugs, and promises that you make and keep to meet up again in new exotic locations. Writers Retreat in Tel Aviv *Itinerary specifics are subject to change. Under Jaclyn’s guidance, I found new direction for my writing and tackled topics that I haven’t been able to put down on paper until now. I shared my work and became part of a community of writers, whose feedback was invaluable to me. I dove into my fears and created new dreams for what I might do with my writing in the future. I cannot recommend this course highly enough. I’m already sad that it’s over. I now have the motivation and confidence to write and publish, which previously seemed more like a faraway fantasy. I learned that reality is what you create and build for yourself, not something you should wait for or leave for chance to decide. I appreciated meeting every woman in my group. We were all so different, coming from very different backgrounds and places, but we all shared our love of writing and traveling in common. I came out of it a different person than I went in…[Jaclyn] made us linger in our discomfort long enough to compel us to make a change. In fact, she had to relinquish control in order for it to be a catalyst. That’s a mark of a great teacher. I finally remembered what I really need, and who I really am. The trip did everything for me. Planned by the amazing team behind Pink Pangea, I can officially say the trip changed my life for the better. I not only practiced my writing in ways that expanded my passion and skill, but I also made friends of all different ages from all over the world that I now consider some of the greatest people I’ve ever met. I stumbled upon Pink Pangea’s writing retreat. I only had to read through the page once to know that this was the right time and the right opportunity to finally take that risk. I signed up in a heartbeat, and I am so glad that I did. The only reason I submitted an article and was accepted was because I went to the writing retreat and gained the confidence needed as a writer to think my writing was even good enough to submit to a major online publication. Jaclyn Mishal is a co-founder of Pink Pangea. Since 2006, Jaclyn has worked in the travel industry, connecting thousands of individuals with international academic, volunteer, and internship opportunities. In addition to her work devoted to making the “gap year” mainstream, Jaclyn played an integral role in developing international service learning programs. An entrepreneur, writing teacher and an inspirational public speaker, Jaclyn’s speciality is guiding people to express themselves fully. Her creative guided writing activities help even the most seasoned writers break out of their habits and expand their abilities. Jaclyn has led writing and Fearless Living workshops internationally in partnership with colleges and companies, including Google, Barnard College, Mount Holyoke College, Smith College, Wellesley College, Wagner College, REI, Global Yoga Journeys and Hostelling International. According to Jaclyn, writing enables us to access parts of ourselves that we may have trouble expressing otherwise. Jaclyn is a certified yoga instructor, whose travels have taken her through the Middle East, Europe, North America and Central America. She holds a B.S. from Binghamton University. Jaclyn’s maternal grandmother survived the Holocaust and her paternal grandmother fled Baghdad, Iraq. To them, Jaclyn dedicates her work to providing a space for women to share their stories. Pink Pangea’s staff will provide all of the information and support that you need to make this experience exceptional. Before the retreat, Pink Pangea will send you details about arriving in and departing from Israel; as well as a detailed packing list. 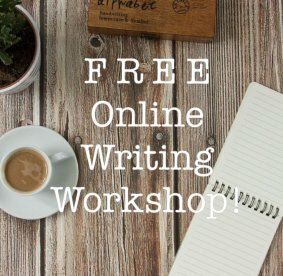 I’m new to writing workshops. Will I fit in? Absolutely! Jaclyn’s unique writing prompts and exercises benefit both new and experienced writers. The Pink Pangea community is encouraging, and all writers are welcome. I’m a seasoned writer who has been published in a various media outlets. What will I get out of this retreat? Jaclyn’s speciality is guiding people to express themselves fully. Her creative guided writing activities help even the most seasoned writers break out of their habits and expand their abilities. How old are the women who attend the retreat? Women of all ages attend Pink Pangea retreats. How will I get to the hotel? The best way to get to the hotel is by taking a train from the airport to Tel Aviv’s Haganah Station, and then a taxi to Jaffa. No need to reserve a taxi. Or you can take a private taxi directly from the airport to the hotel, which is more comfortable but also more expensive. If you have any questions about the retreat, email rachel@pinkpangea.com or call us at 917-648-2302. Please note: Applicants are limited to one discount per person. Applicants will only be considered for discounts if they include the code in the registration form.